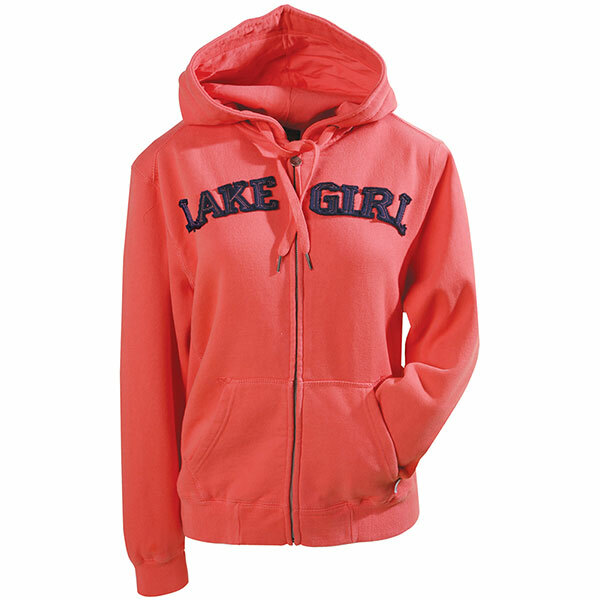 Whether she's a canoe kind of gal or more into revved-up waterskiing cruisers, she'll love sporting this at lakeside getaways or in her everyday urban life. Hoodie sweatshirt with zip front. Select Navy, Blue, Coral or White, with white chenille appliqué letters. Cotton/polyester blend. Machine wash. Imported. S-XXL. Matching hat is 100% cotton; one size. Cotton tote is 13¾"Lx8¼"W.